I haven’t done one of these reviews in a while. In fact, I once thought I’d do them all the time, but the timing just never worked. There have been a lot of records to review recently, but beer has been neglected. The recent arrival of Okkervil River’s new album and Schlafly’s AIPA came at the perfect time for me to throw down one of these ill-conceived reviews. I won’t bore you with the old template. Instead, I’ll bore you through my prose. Why these two in this particular challenge? Well, aside from the timing of their releases, both record and beer share a decidedly American aesthetic. And in this time when America feels particularly good about itself, celebrating things that are very American just seems like the right thing to do. Okkervil River with its take on Americana and Schlafly’s attempt to make a big IPA like every other American craft brewer connect these two loves of mine, but which one wins out in the end? I Am Very Far is not what we’d expect from Okkervil. It’s slick without losing heart. The emphasis is on the sound and production over the words, yet it’s impeccably written. Even the emotive qualities of a typical Okkervil record are absent without the album being dull and dry. It’s a great record without being a great Okkervil River record. When I think of their progression, I think of a few other bands with similar trajectories. Bright Eyes’ Conor Oberst is a lot like Okkervil’s Will Sheff in that they are the primary piece in bands that feature the most confessional lyrics delivered in the most recognizable of voices. However, Sheff has placed more burden on a band that has not changed as much as Bright Eyes. My Morning Jacket also comes to mind as a similarly positioned alt.country act that tried to step out with a new sound. In my opinion, MMJ flopped with Evil Urges, an album that saw the band take a major leap in aesthetic. It may or may not have sold well and did decently with the critics, but the project seemed to dash a lot of the momentum the band was building. Conversely, Okkervil River scores a huge success that both achieves a new direction without changing who Okkervil River is. One cannot use the phrase “wall of sound” too often when describing this album. Will Sheff put his efforts into the production end rather than weaving intricately detailed narratives throughout his songs. The lyrical content is not lacking, but it’s not the typical, literary Sheff we’re used to. Where Fleet Foxes made the leap forward by saying something pointed and specific, Okkervil River made a similar leap by withholding some information. And this slick production is surprising for a band known more for folksiness and emotion-laced tales of woe. This is not your father’s confessional emo/alt.country. 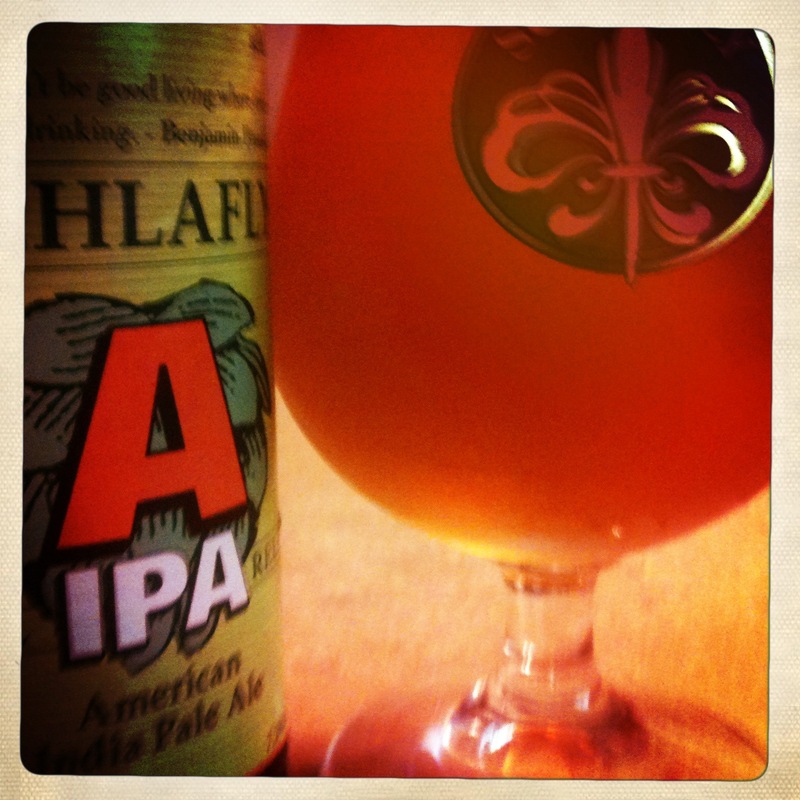 Schlafly’s American India Pale Ale takes a similar path to enjoyment. It’s not the hop bomb so many us become accustomed to when there’s a yearly release featuring a hop-forward style. The American craft brew industry prides itself on upping the IBU ante with each new release, but this beer didn’t participate in such a hoppy arms race. Nope. The ABV in this year’s batch is actually lower than last year’s and the hop bill was also altered. The AIPA has a few peers in these parts. There’s Bell’s notorious Two Hearted Ale with it’s Centennial-induced bitterness that packs quite the wallop when fresh. There’s also cross-state rival Boulevard Single-Wide IPA and its decidedly dry finish. Although all three are in the same category, none are exactly alike. Schlafly’s AIPA is sort of sweet at first taste. There’s certainly a bitter finish, but the middle is lacking that intense strain often associated with an American IPA. As the beer warms, however, a complexity is revealed. The aroma is straight-up hop pellets (so says the homebrewer) which is always pleasing to the nose. Schlafly’s yearly stab at an American craft beer classic may not be the most overwhelming beer out there, but it’s balance is something sorely lacking in today’s market. Although not the hop bomb I expected upon first sip, the beer expands and satisfies as it warms. It’s not your everyday American India Pale Ale, but it’s a good one nonetheless. Both the Okkervil River album and Schlafly AIPA surprised by not meeting my American expectations, but that might have been the most American thing to do. If there’s one thing people do in this country when perfecting their craft, it is doing the unexpected with said craft, pushing expectations. Sometimes those expectations are pushed to extremes where the product no longer resembles the original. In the case of this record and this beer, the product resembles the original in ways we did not expect. Okkervil River didn’t make another emo rock opera over folksy guitars and Will Sheff whines. Schlafly didn’t overdo it with the hops. Instead, both made calculated moves in creating balanced, enjoyable final products I will continue to enjoy. Who wins this round? I call it a draw. The lesson I learned to not expect the expected from American craft means that we all win or something equally cheesy. *Sorry for the lack of footnotes, footnote fans. Familial duties didn’t leave time for such supplements. Maybe next time. I also had no time to read this over. Make revision/editing comments below or just tell me what you generally think. I love the concept of the double review. I may have to steal this format one day. I’ll definitely give you your credit. What’s ironic is that I thought I’d do a lot of these, but I don’t like to write beer reviews. The last one I did was a long time ago and it did little for either subject. In fact, the beer and record were severely mismatched. It’s a tough balance. 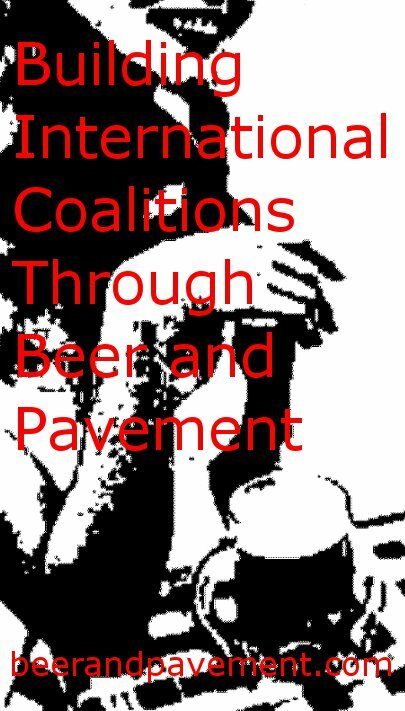 I mostly made an effort to do this one when I saw someone put me on their blogroll as “Beer and music reviews in the same blog and, oftentimes, in the same post” and knew I had to step up to match their advertising. Ah, so it’s my fault, is it? 🙂 Thanks for the place on your blogroll. Apparently it’s time for me to step up my game. I’d love to check out both Okkervil River and Schlafly’s. The latter might require a cross-border raid.